United Airlines temporarily suspended flights to Delhi on Friday over air quality concerns there. "We are monitoring advisories as the region remains under a public health emergency, and are coordinating with respective government agencies," a representative for the airline said. The company noted that "when severe weather or other major events may impact our operations, we sometimes issue travel waivers to allow you to change to alternate flights without paying a change fee." Competing airlines KLM, Virgin Atlantic, and Etihad did not immediately respond to request for comment on whether they are also offering travel waivers. American Airlines (AAL) and Delta (DAL) do not fly to Delhi. The debilitating pollution has prompted an emergency in the city. 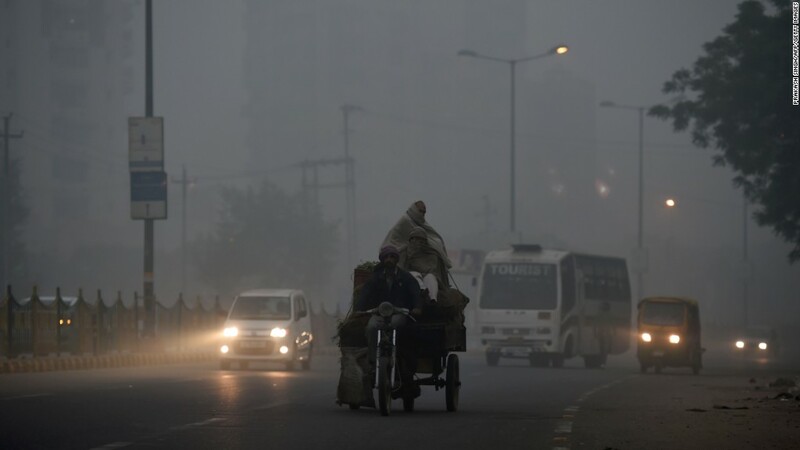 What started as an irritation on Tuesday quickly became a thick white haze, which has significantly reduced visibility and caused accidents on Delhi's busy roads. Public and private schools are closed. Incoming trucks have been banned, and construction projects have been paused. Officials plan to put a partial ban on private cars into effect next week. The haze poses health concerns, as well. One monitor showed that air pollution levels have reached 969 -- far above the World Health Organization's maximum safe level of 25. Those levels are based on the concentration of fine particulate matter, or PM 2.5, per cubic meter. The microscopic particles, which are smaller than 2.5 micrometers in diameter, are considered particularly harmful because they are small enough to lodge deep into the lungs and pass into other organs, causing serious health risks. Pollution is a part of life for the millions of people who live in Delhi. Every winter, pollution levels rise to dangerous levels.